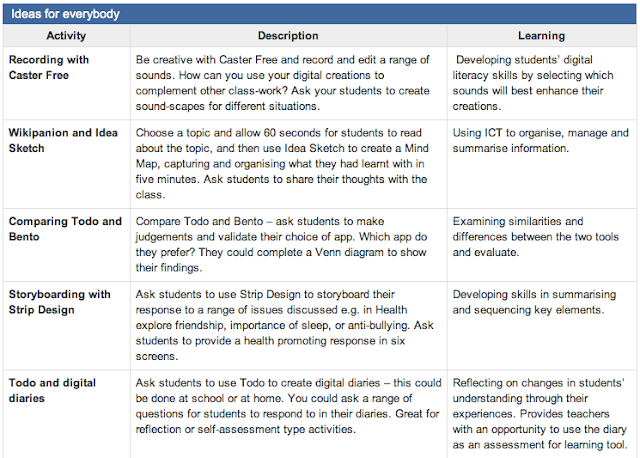 The Department of Education of Victoria has put together a series of ideas for using iPads and apps in the classroom. These are also linked to learning outcomes. These ideas can be used as starters or even used as part of a series of lessons. Nice collection. Great to use as a starter to get your own staff to brainstorm the use of apps and linking them explicitly to learning outcomes. See the site for the full list of ideas.